I decided to go Vegan for the whole of February as part of the 'University Vegan Month Challenge' hosted by Animal Aid. 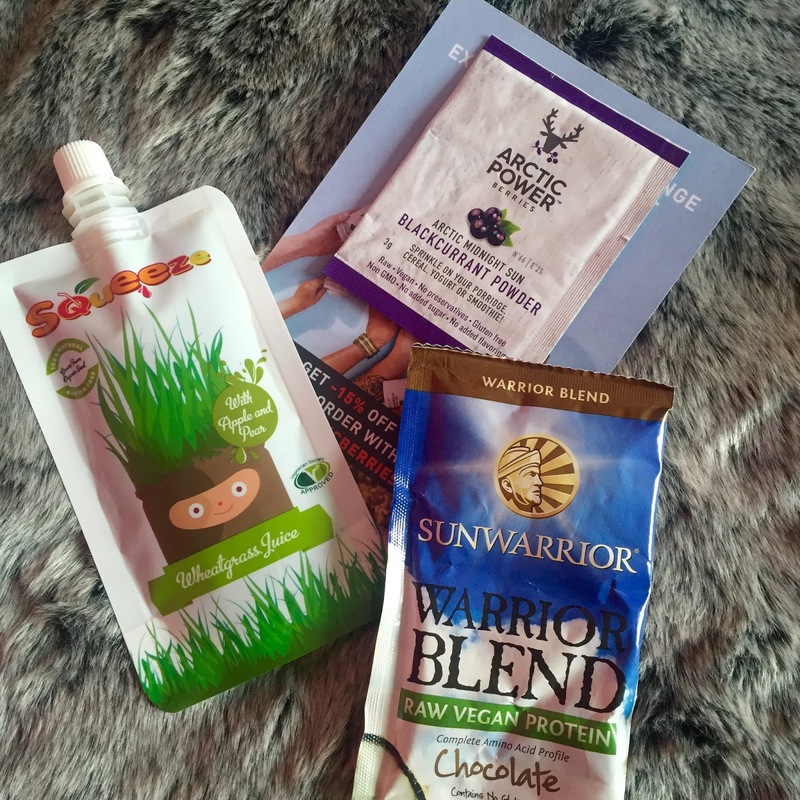 They sent out a little information pack with a few vegan meal ideas and basic information about the foods I could and couldn't eat, which was super useful! I'm mildly lactose intolerant so I try to avoid dairy where I can anyway, but this was a really fun experiment and I made it through the whole month as a Vegan. And I had no naughty cravings either! Result. Side Note: I will be doing a post on 'Simple Vegan Eating' for those of you that are interested, so keep looking out for that one! 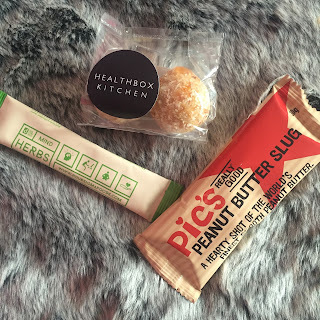 Now, one of the reasons I didn't suffer from any cravings, was because I tried my very first Lifebox this month, which had SO many yummy Vegan treats in it, which brings me on to the subject of this blog post. Review time!! I'll start with a little bit of info on the company and the ordering process and then move on to all the juicy details! 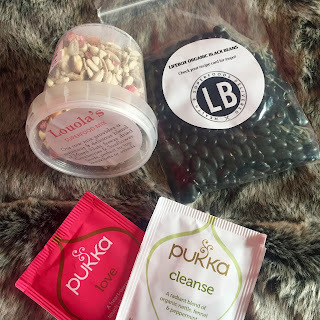 I went for the Cleanse Lifebox which was £20.95, which I don't think is bad at all, as there were so many goodies inside that I got to try, plus I've been introduced to loads of companies I'd never heard of. FYI this would be such a good present idea for a foodie. Inspiral Kale-Os - Pizza flavoured Kale crisps. Need I say more? My first impression when opening the pack was that it looked like seaweed, but the dehydrated kale was sooo crunchy and the pizza flavour was amazingly addictive. SO GOOD. Ugly Water - Fruit-infused sparkling water. The little hint of grapefruit is really refreshing but it doesn't take of an awful lot. Cute idea and packaging and definitely satisfies my fizzy drink craving, without all the nasties! 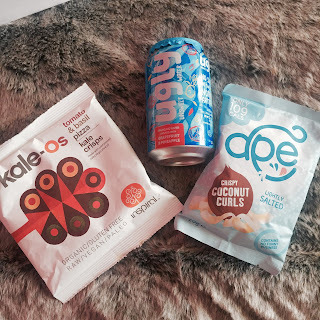 Ape Salt Coconut Curls - I thought these were gonna taste a little weird but they're actually so nice! If you like sweet and salt popcorn you'll love these. Kamalive Raw Chocolate Figs - I'm not the biggest fig fan, (I think it's the texture) so I gave these to my mum who loved them. I had a nibble of the cacao which was really tasty though! Primal Bakers Heart Biscuit - THE BEST BISCUIT EVER. A magical blend of almonds, cinammon, chocolate, and vanilla. I'm extremely tempted to order a box direct from the bakery! Four Sigma Mind Herbs - I didn't read the info before using, silly me, but this little sachet of goodness is great mixed with hot water to help with stress or concentration. Gave me a much needed boost on my lunchbreak at work! Add to a smoothie if you're not a fan of herbal tastes. 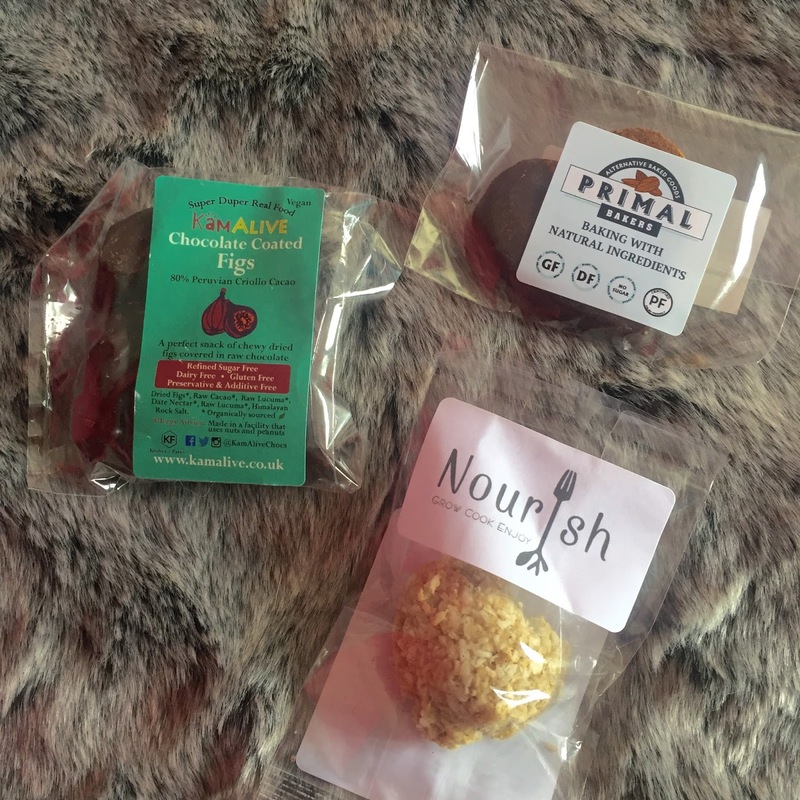 Healthbox Kitchen Apricot Energy Balls - These were probably the only thing I didn't like, simply because I'm not a fan of apricots. Coconut flour added a lovely texture but the apricot was too overpowering for my taste buds. Loula's Superfood Mix - I had half of this on top of my smoothie bowl to add some crunch, and then nibbled on the rest of this whilst being called a rabbit by my friends. How lovely. Lifebox Organic Black Beans - I haven't actually used these yet as I'm going to make the Sweet Potato and Black Bean Soup from the recipe that comes with the beans! Pukka Organic Teas - I am English, therefore I like tea. Simple as. 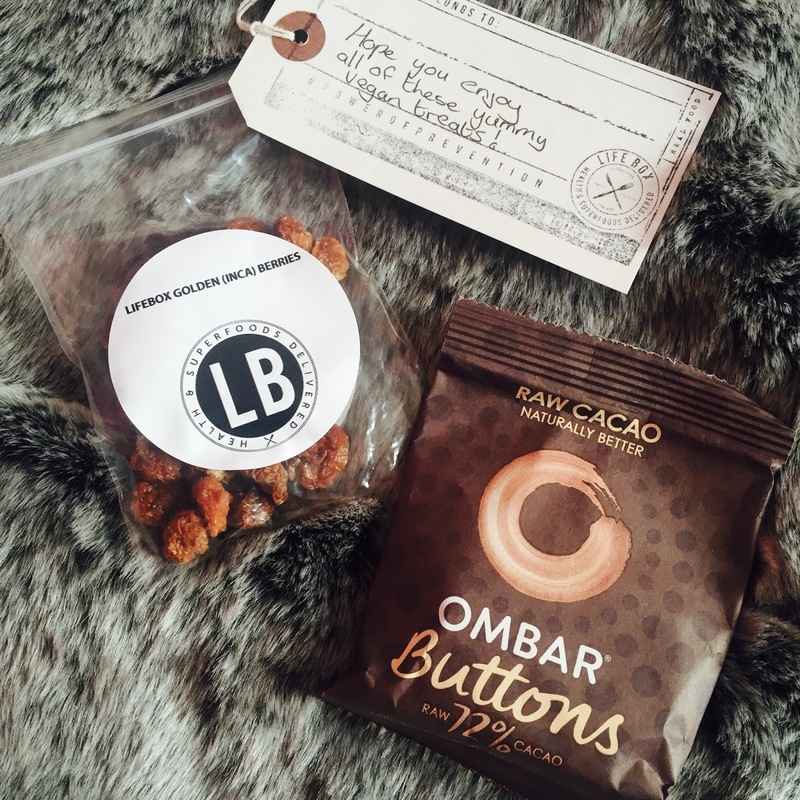 But seriously, the 'love' flavour was my favourite as the chamomile and lavender blend was really relaxing. The 'cleanse' flavour was a more acquired taste, so I'll save that one for the herbal drink fans! Lifebox Golden Inca Berries - Now I snacked on these as I don't like dried fruit on top of my porridge. But these were really interesting, they were similar to raisins, just slightly sharper. I'm definitely going to be back for another Lifebox soon, they're also super friendly on Twitter and Instagram if you have any questions about anything at all! 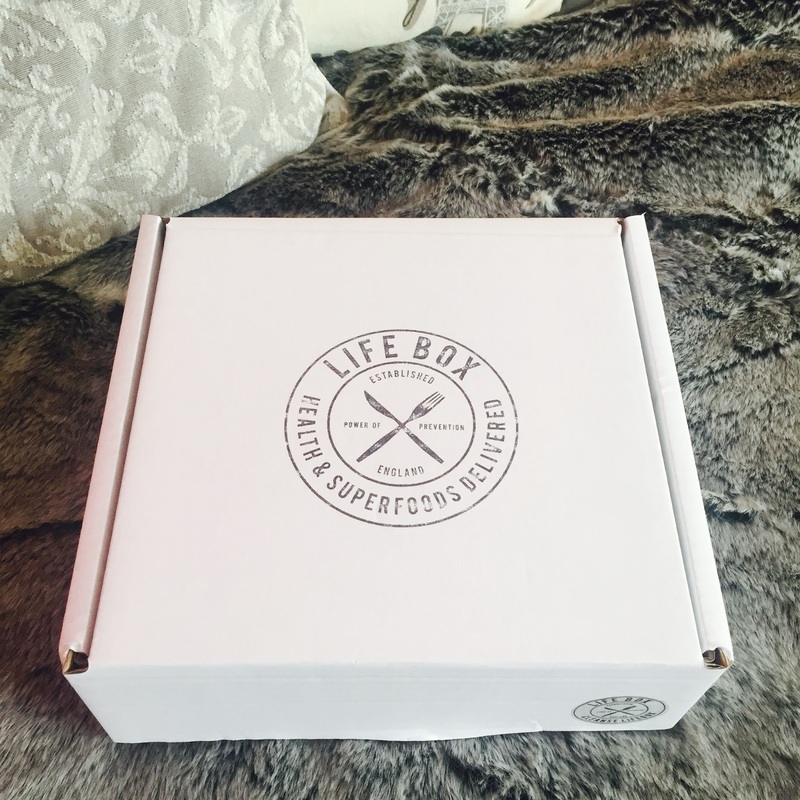 This Life Box seems like a hell box to me. I don't see what kept you so motivated for a whole month, I mean there is nothing so extraordinary about the box and the reason why you remained a Vegan for a whole month was probably your motivation and not the Life Box!